WATCH: The 'shoey' is back! 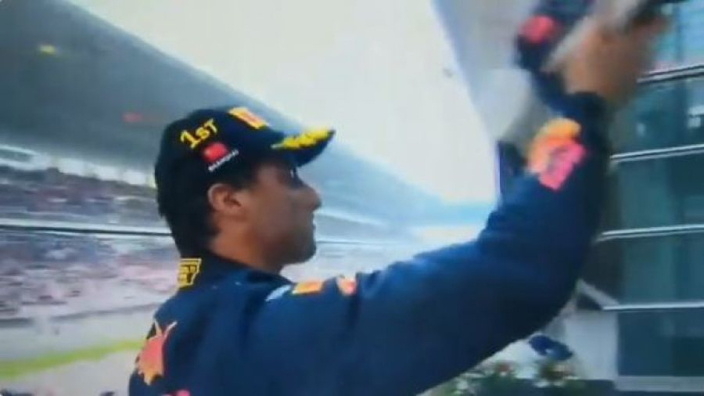 Daniel Ricciardo's brilliant Chinese Grand Prix win could only mean one thing. The 'shoey' is back! We're not sure if we would fancy a taste, but if it works for the Red Bull man, who are we to argue? And he certainly deserves it after pulling off a string of brilliant overtakes to seal success in Shanghai.